Who Are Detroit’s Streets For? Nothing sums up the latest controversy about bike lanes in Detroit quite like the disapproving glare of Keith Crain, the publisher of the Crain’s Business Media empire and also, Autoweek. 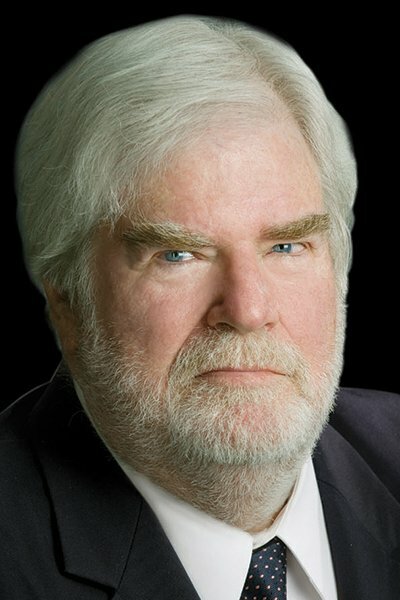 Crain’s face scowls at you from the pages of his namesake paper with every anti-bike-lane column he writes. His latest column asserts, devastatingly he assumes, no one will use them during the winter. There does seem to a bit of a bikelash going on in Detroit, I guess you could say, since Mayor Mike Duggan just announced an impressive plan to reorient the Motor City’s wide, desolate streets more toward walking, biking and transit. Repurposing some of Detroit’s excess road space for short, active trips is a big paradigm change. Here’s the thing about Keith Crain’s commentary on the growing number of bike lanes and shrinking number of vehicle lanes in Detroit: A lot of people agree with him. This project was a bad idea and a waste of taxpayers’ money in the summer. In the winter, it will become obvious what a mistake this project has been. Presumably, that’s East Jefferson, which was redesigned this summer at a cost of $1 million to include protected bike lanes. East Jefferson runs nine miles from the ritzy suburb of Grosse Pointe, where Crain lives, to downtown Detroit, where Crain’s media company is headquartered. The 5.5-mile segment of East Jefferson that was overhauled was a wide and dangerous one. It was the site of 750 crashes between 2012 and 2014, including three pedestrian deaths, according to Daily Detroit. This is a serious matter for Detroit residents, many of whom lack cars. Detroit is the most dangerous city in the nation for pedestrian fatalities per capita, according to a recent analysis by the Detroit Free Press. 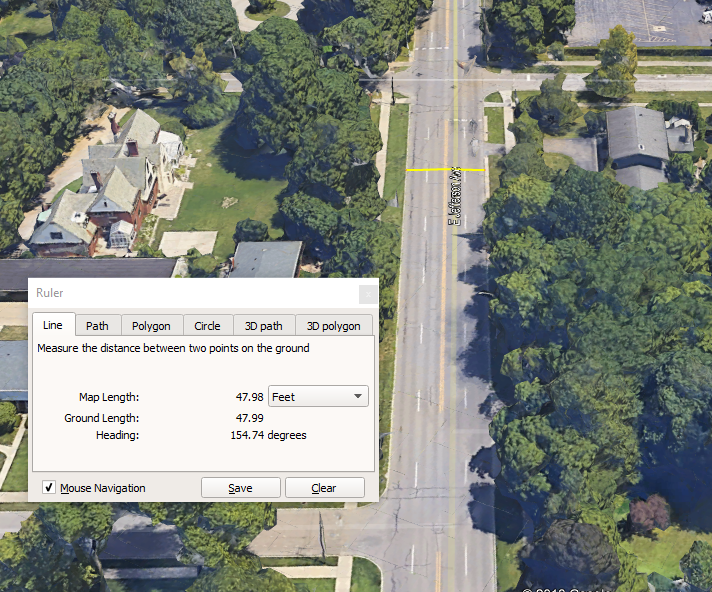 Now take a look at Jefferson Avenue in Grosse Point, where Crain lives. Jefferson Avenue in Grosse Point. As you can see, the road is four lanes wide, about 48 feet. Meanwhile, check out what it looked like in Detroit, before the bike lanes. Detroit’s wide streets, while they may be dangerous and unnecessary, elevated the interests of suburbanites — who want to drive through the city fast. And the more narrow, multi-modal streets Duggan has proposed, they are better oriented toward the interests of Detroit residents, who suffer the negative side-effects of fast driving: safety issues, noise, etc. Crain himself chooses to live somewhere with narrower streets. But for others, wide and fast is what he prefers. Bikelash is nothing new. We see it in almost every city that changes the way its streets operate to make it more balanced.But the hyperbolic response is especially ridiculous in Detroit because Detroit … has no traffic. According to Inrix, a data firm that measures congestion, Detroit ranks 127th out of 128th in major U.S. cities for traffic congestion. At peak hours, metro Detroit commuters spend just 10 percent of their time caught in traffic, Inrix reports. In other words, congestion is not significantly impacting Detroiters’ car commute times. 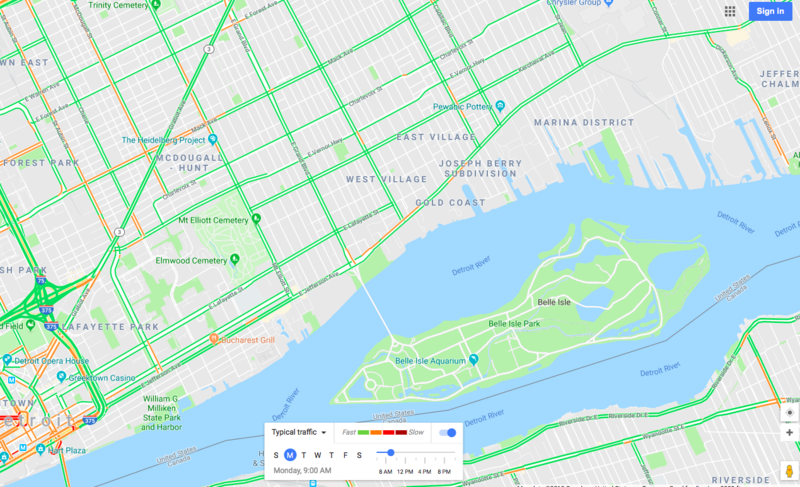 Check out Google Maps average traffic congestion for Jefferson on a Monday at 9 a.m.
Every single road in Detroit could likely undergo a road diet without having much of an impact on traffic. And it would make the city more sustainable, and just and inviting for residents. Detroit has all kinds of struggles to overcome, of course, but retaining residents is chief among them. Managing speeding and creating safer more people friendly streets is part of that. It’s a shame, but not surprising, to see some resistance to the change. But it doesn’t diminish the importance of what Duggan is trying to do. They cite web traffic as support? So just by reading the Crain’s article to see how crazy it was I am now used as a statistic of support? And of course letters to Crains by regular reader are more in support of cars. Nothing about the public meetings and real pubic outreach the city did before they decided to improve their streets. Visited Detroit from Los Angeles over the summer. There is a shockingly small amount of traffic on city streets and essentially every single street could have bike lanes with little impact. The freeways on the other hand were busy during rush hour.. It could be argued that alterations to major arterials like Jefferson compel more drivers to use the freeways. Before moving to Detroit, cycling was my primary mode of transportation. I always avoided bike lanes because they always had drawbacks. I would avoid protected bike lanes as well. I’d rather be visible to drivers and have them go around me. These protected lanes make it difficult to see cyclists when turning, and I would feel compelled to approach intersections very slowly as a cyclist. 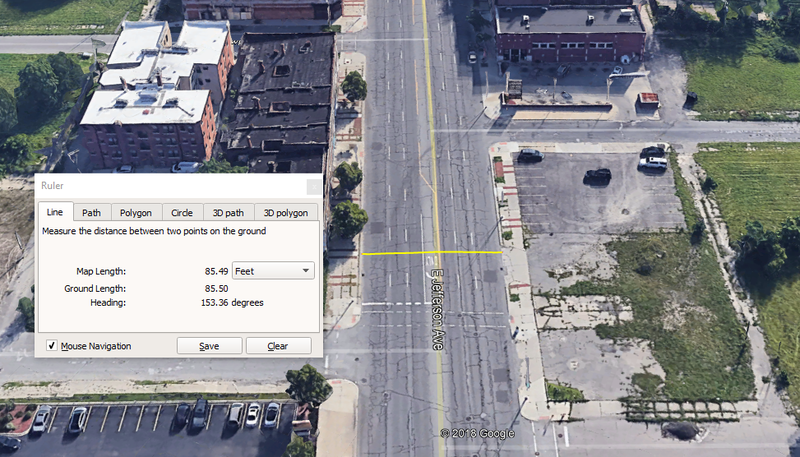 Narrowing down streets is good for Detroit’s financial situation too. Bikes don’t create potholes. If it’s that big a deal for him, maybe he should stay in Grosse Pointe? Well, genius, it’s because he owns a business in Detroit. Should he move his business so he doesn’t have to deal with idiotic urban planners? No. He should just grow the f%#k up and deal with the bike lanes like an adult. Hope springs eternal. Keith Crain, chief executive of Crain Communications, saw some bike lanes and wants you to know that he's very mad. Can the Feds Fix Detroit’s Uniquely Terrible Transit System?